Key Features... Durable 104 key mechanical keyboard featuring a full metal and splash water proof design Featuring colorful LED lights under each key this gaming keyboard lets you select out of 13 spectacular lighting modes Multimedia Function keys for quick shortcuts to most common features Compatible with Windows XP, Vista, 7, 8, and 10 operating systems Eleenter Game1 keyboard Bring your gaming experience to an entirely new level with this stunning Eleenter Gamer Keyboard. 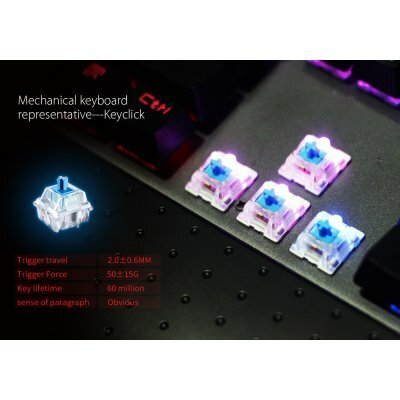 The Eleenter Game1 keyboard features LED lighting under each of its 104 keys, providing you with a stunning visual light effect whenever your PC is powered on. Crafted out of durable metal and holding a detachable wrist handle this keyboard features a futuristic look and is extremely durable. 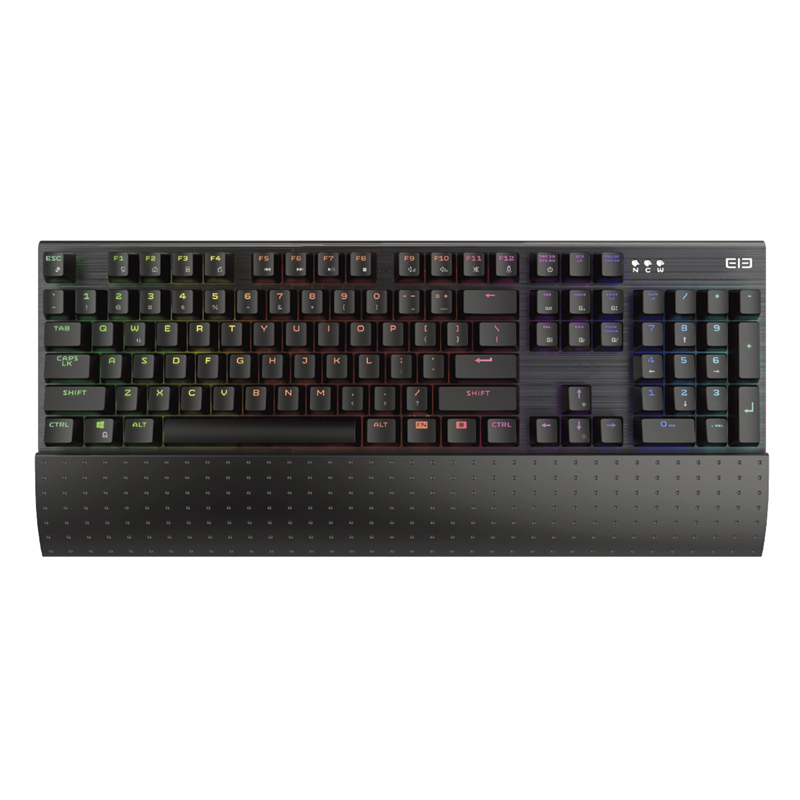 Besides being fit for everyday use this mechanical keyboard holds a ton of extraordinary features designed to make the life of any gamer less troublesome. Its full metal body and splash waterproof design give this keyboard a great durability. Additionally, the Eleenter Game1 keyboard has been tested to withstand normal usages up to 50 million cycles, ensuring superior performance and an extra long life span. 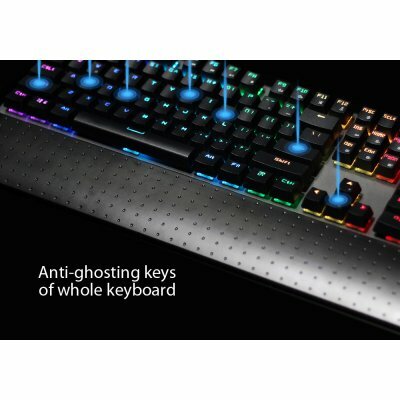 Under each one of the 104 keys on this amazing gamer keyboard lays hidden a powerful LED light that can be programmed to illuminate in every color imaginable. Added to that there are 13 different backlight modes to choose from, each of which creates a magnificent visual experience. No matter your style or color preference, this keyboard is guaranteed to leave a mind blowing impression. Equipped with a 175cm external braided USB cable that holds an electrostatic magnet ring, this keyboard provides interference free connectivity and ensures the fastest response rates out there. 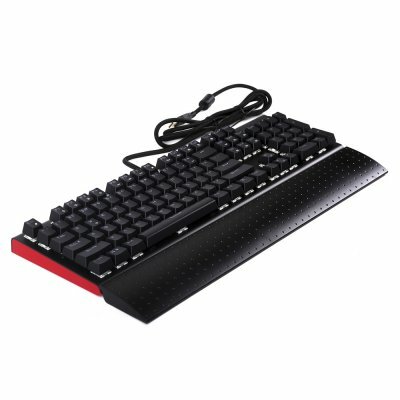 Being compatible with Windows XP, Vista, 7, 8, and 10 operating systems this cool gaming keyboard is the perfect accessory for anybody who wants to enhance his gaming experience.